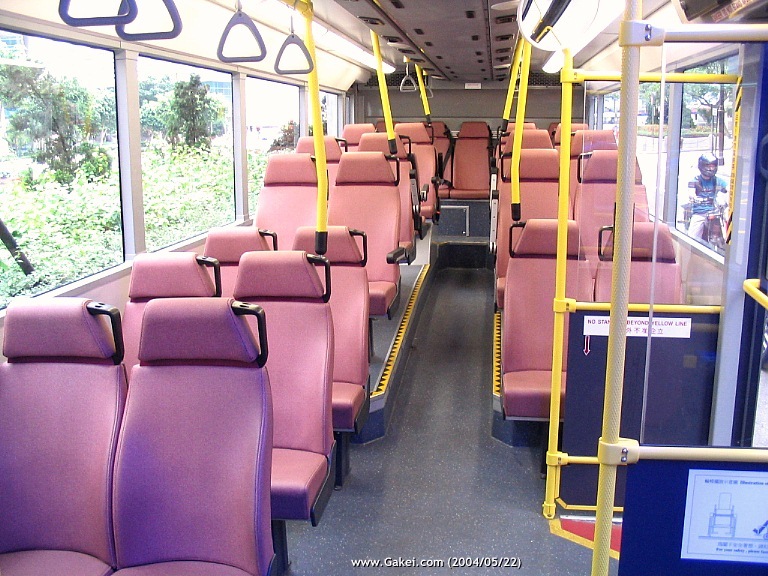 Upper-deck compartment of a 12m Dennis / Duple Metsec Trident. 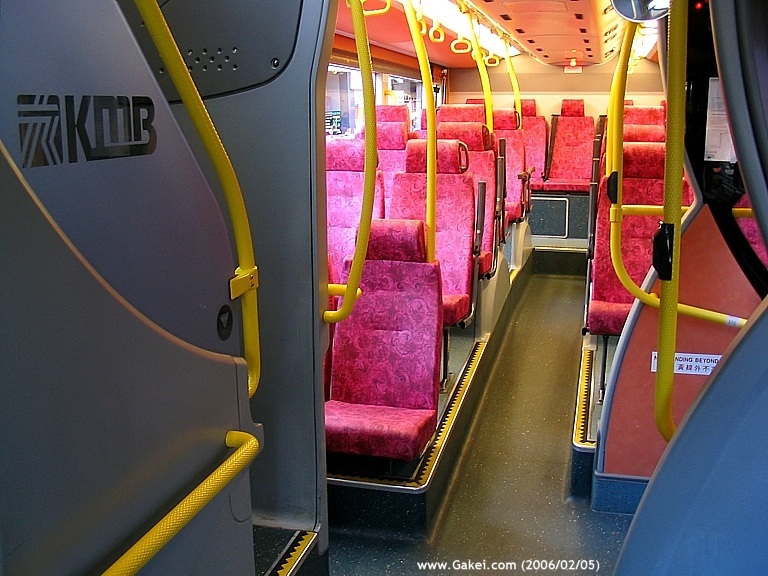 Lower-deck compartment of ATR319 (KU 8269) a 12m EURO III Dennis / Alexander Trident. 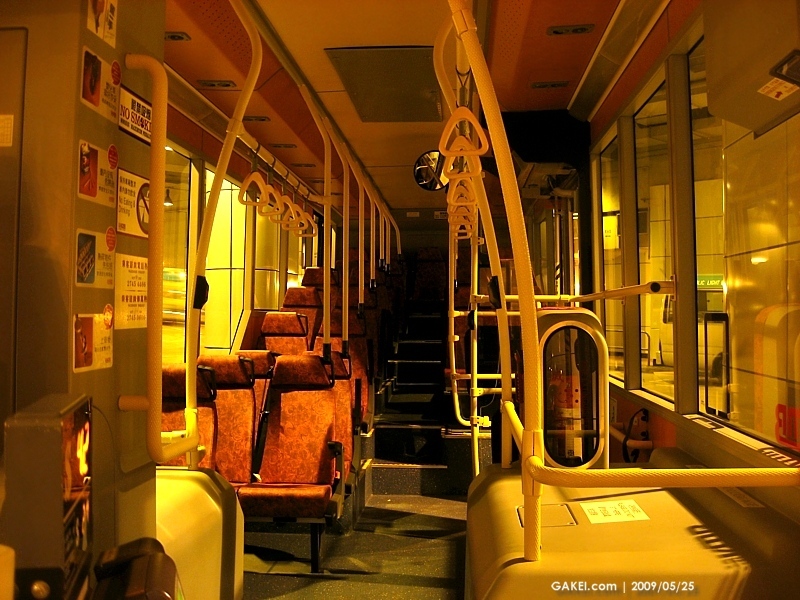 Upper-deck compartment of a Berkhof MAN. 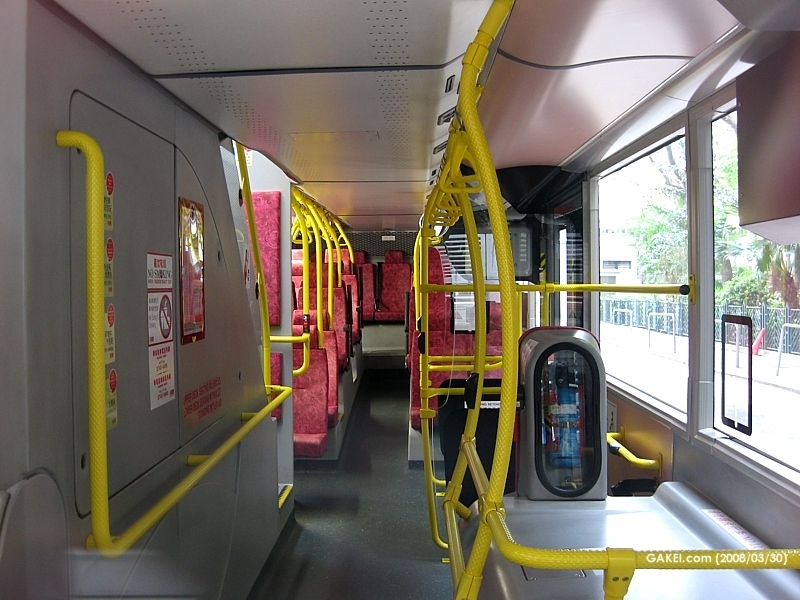 Upper-deck compartment of a Berkhof MAN with "RoadShow" installed. 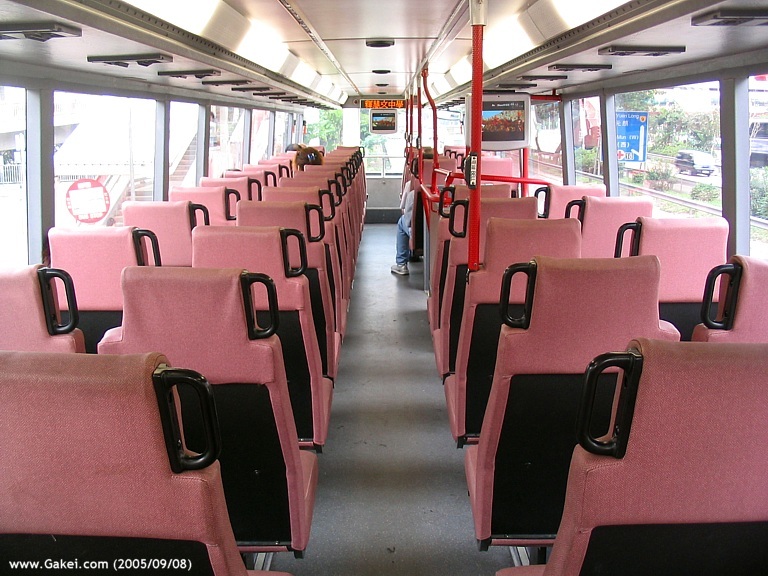 Upper-deck compartment of a Volgren MAN. 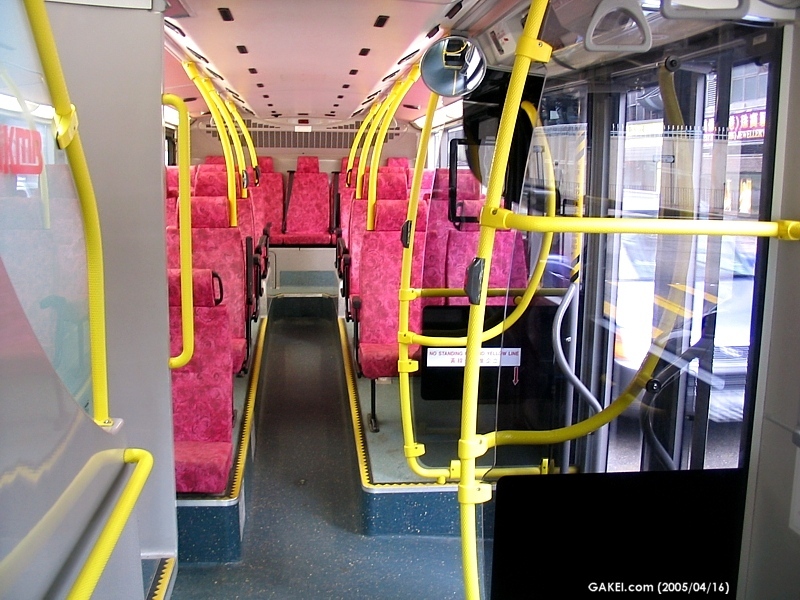 Inside compartment views of Volgren MAN AMN34 (KR 1850). 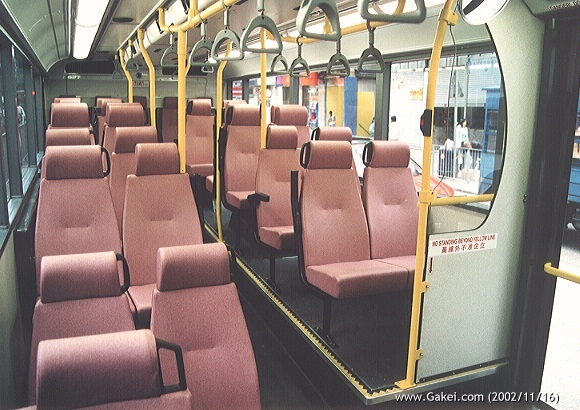 Upper-deck compartment of APM1 (LE 4612). 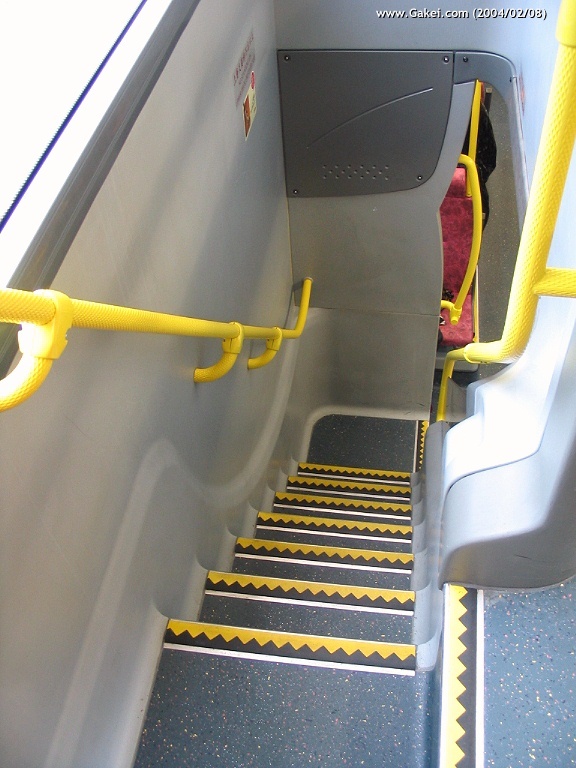 The straight staircase of APM1. 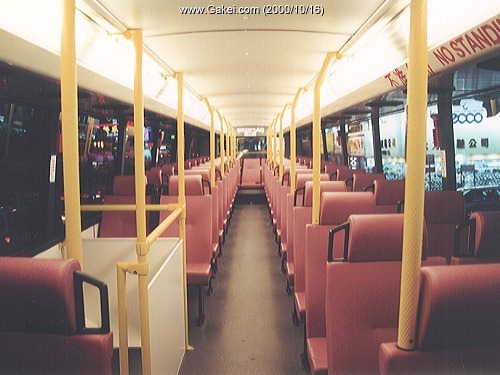 Inside compartment views of ASU1 (MT 6551). 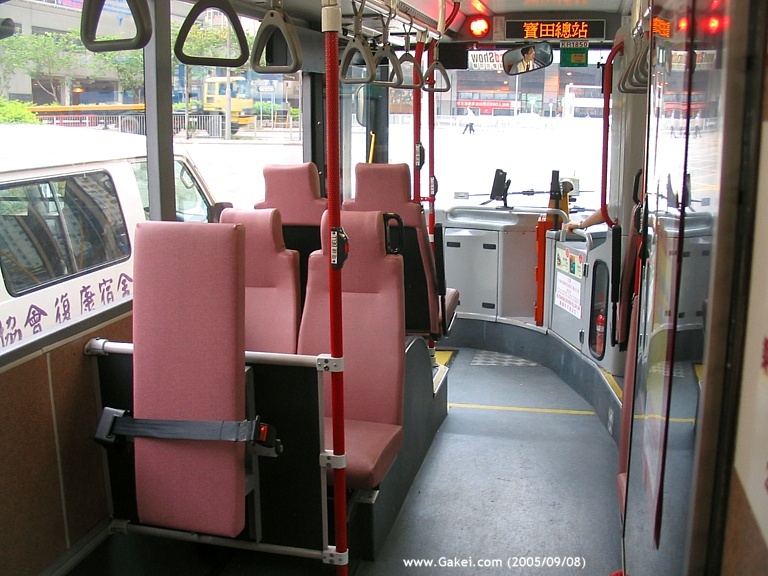 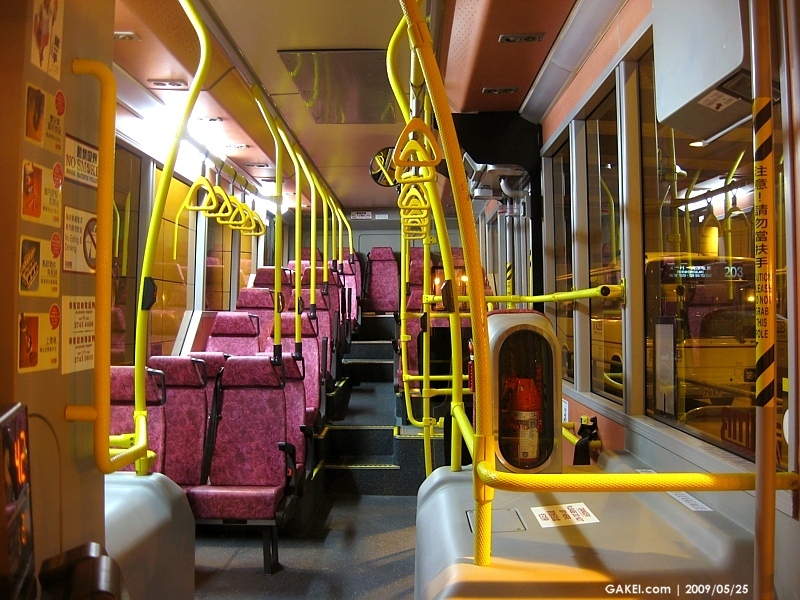 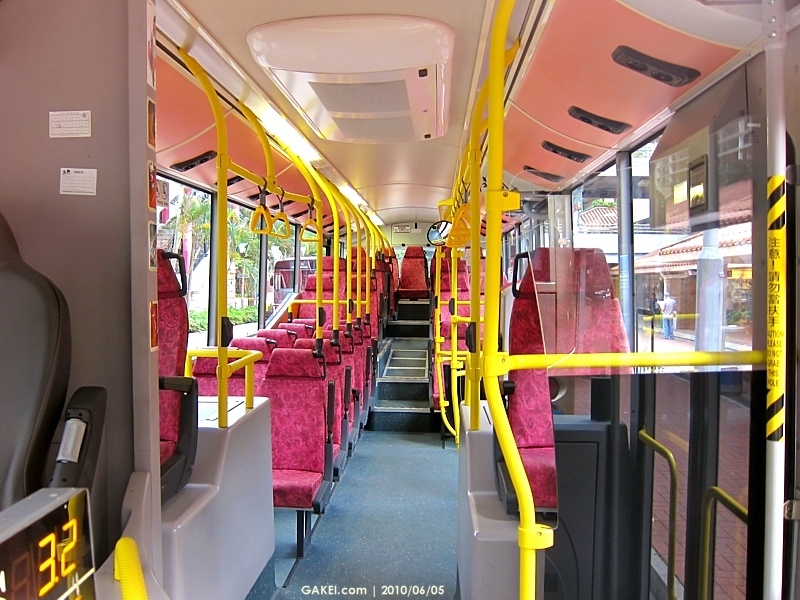 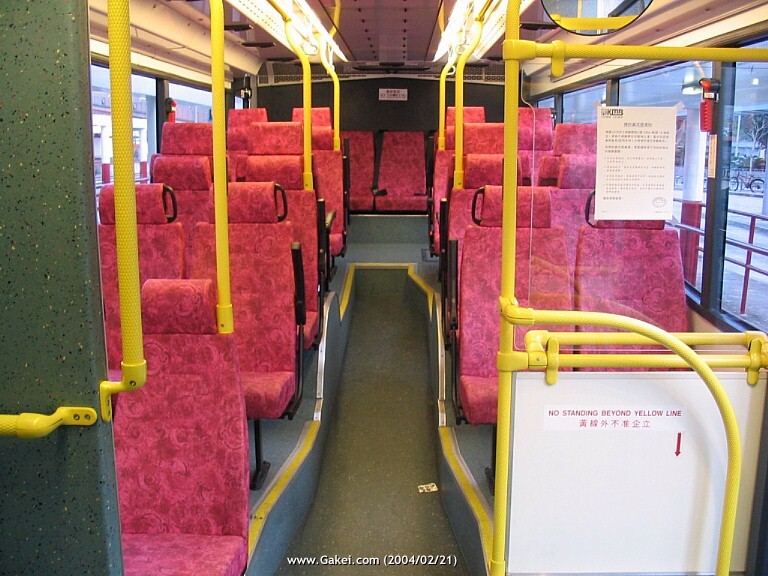 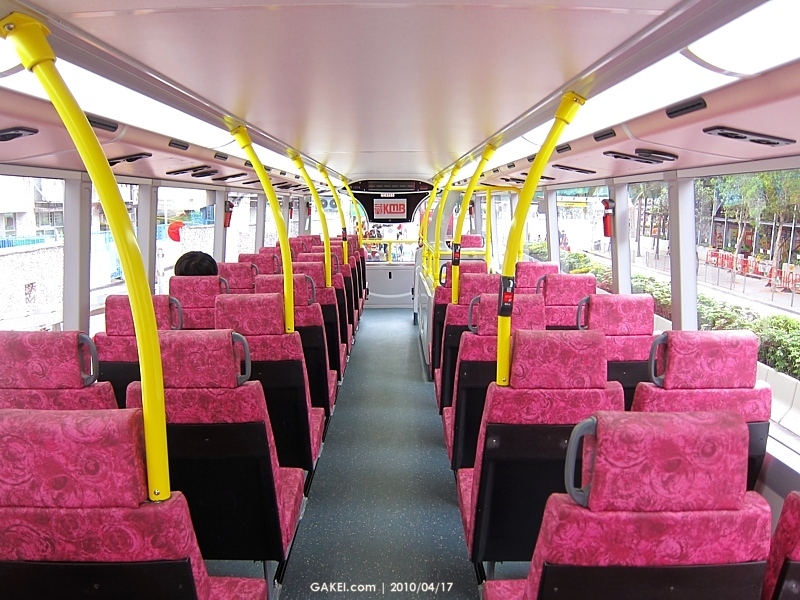 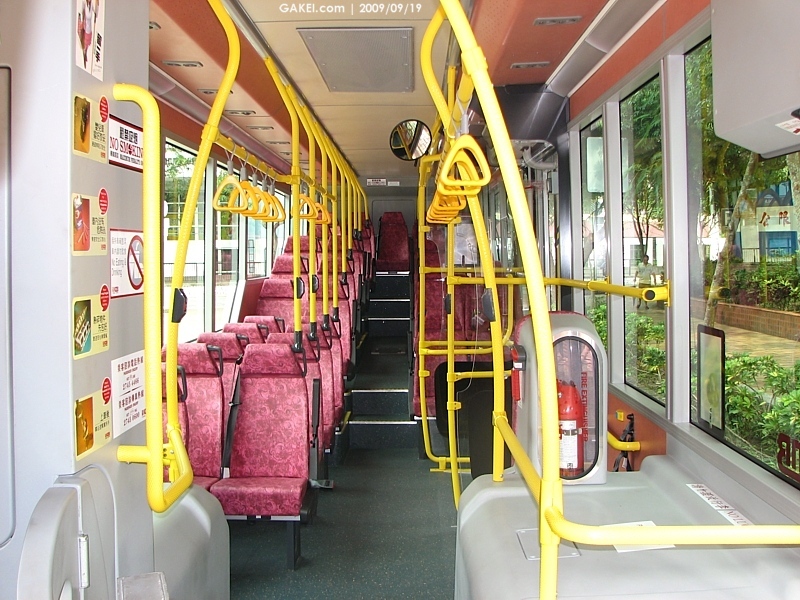 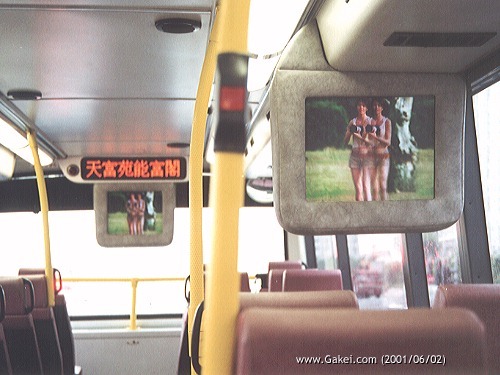 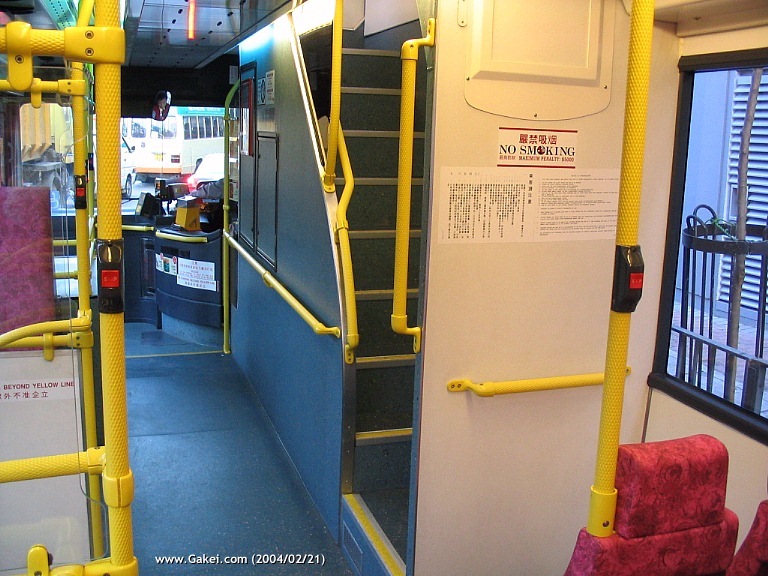 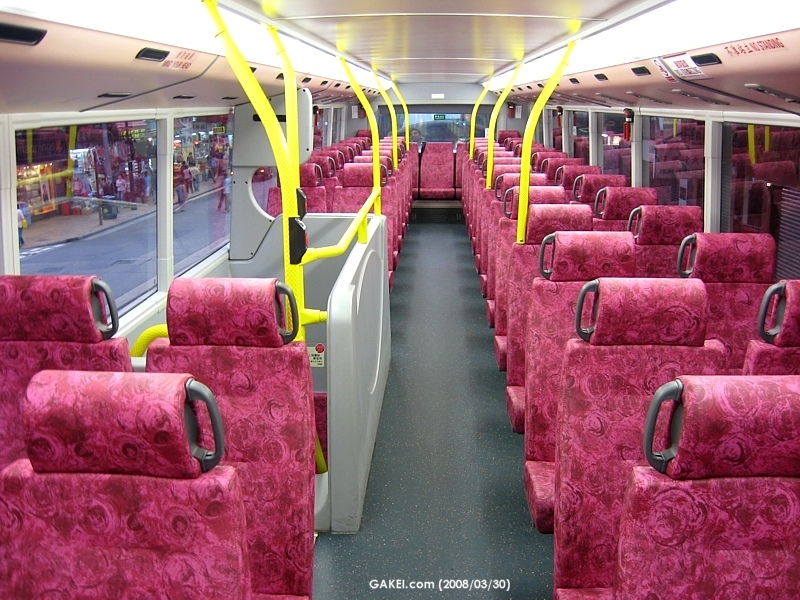 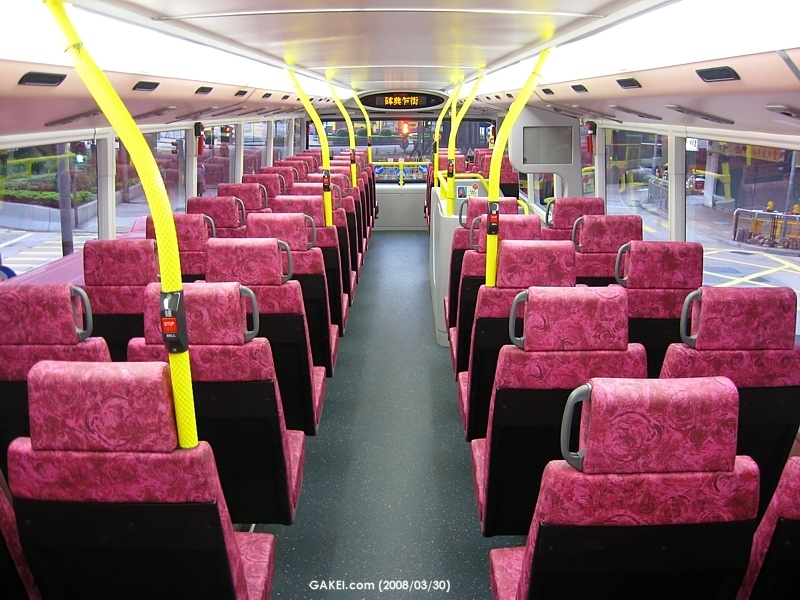 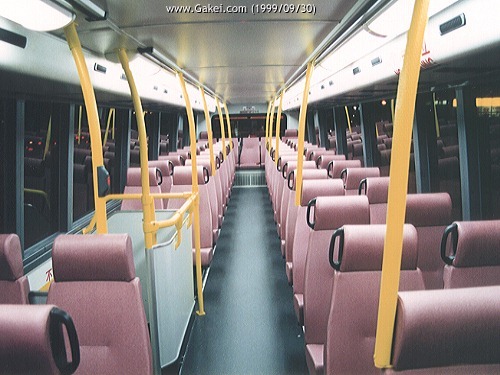 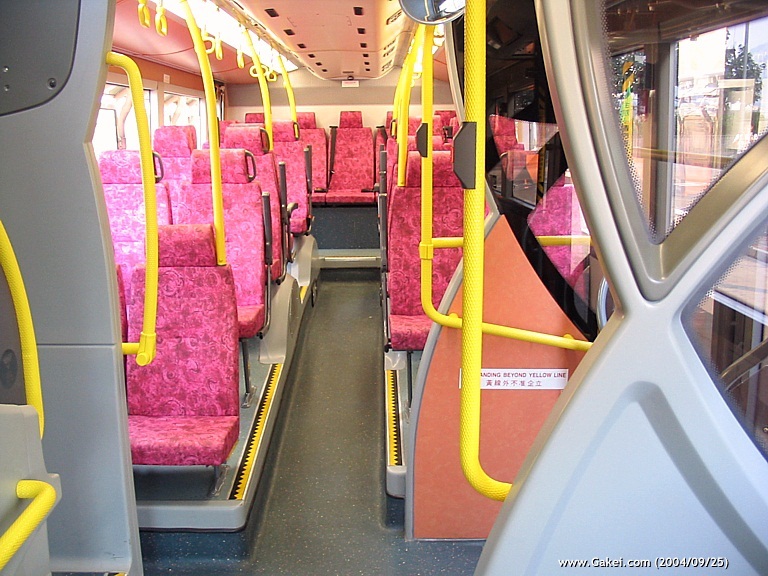 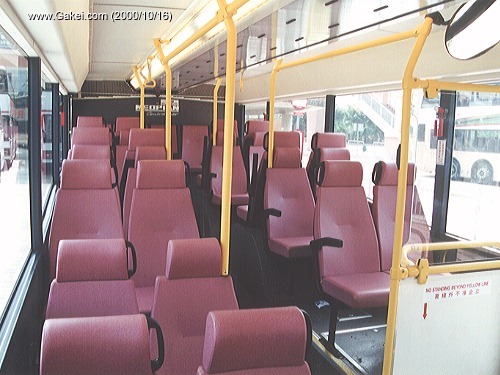 The straight staircase design as shown in this ATE11 (KY 7092) photo is a first in the history of double deck bus services in Hong Kong. 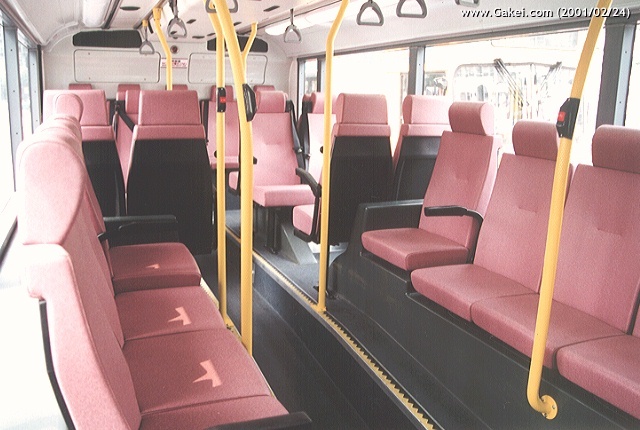 The width of each seat is standardized to 440mm inside both upper and lower compartments. 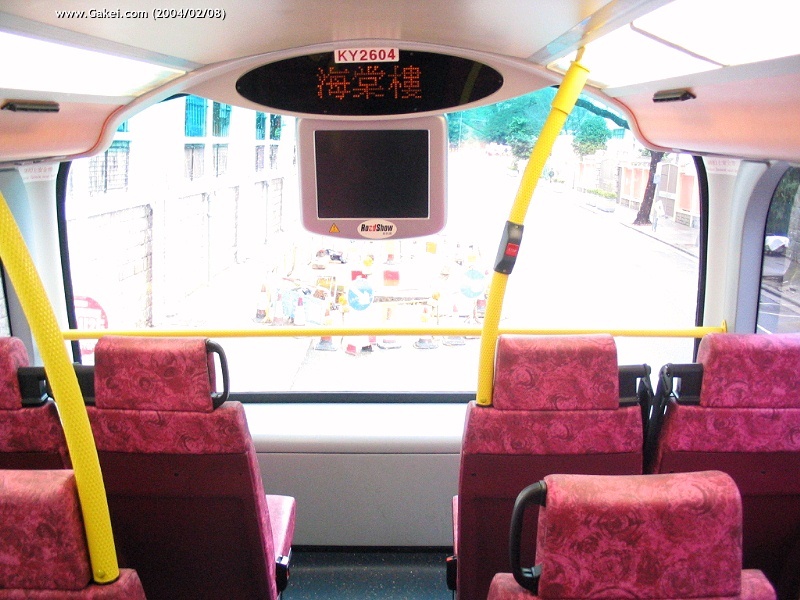 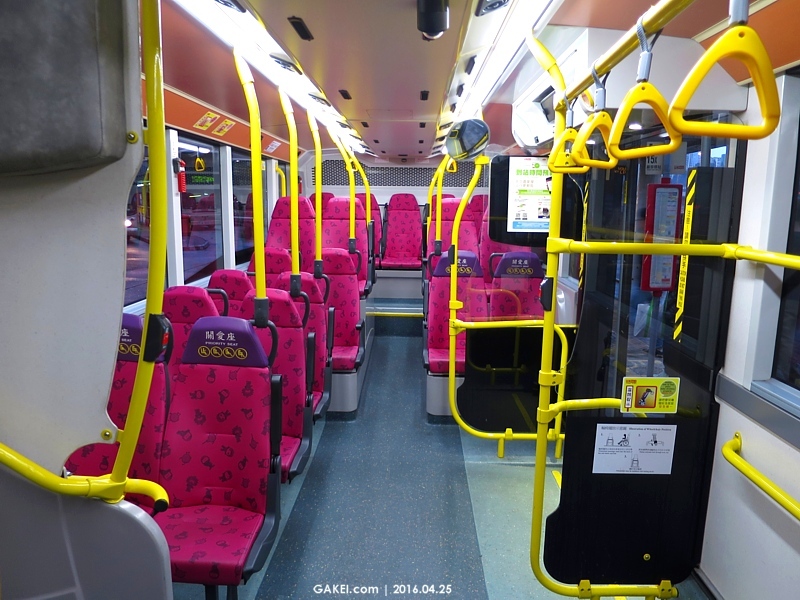 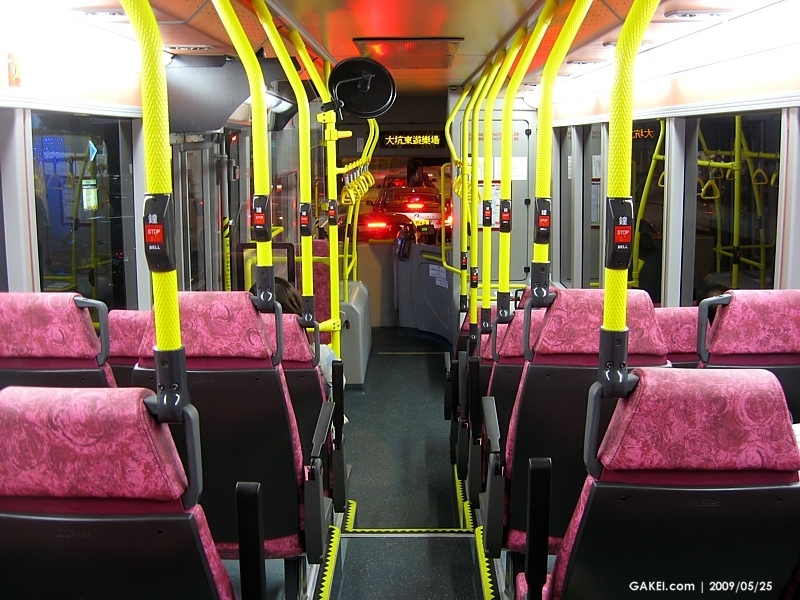 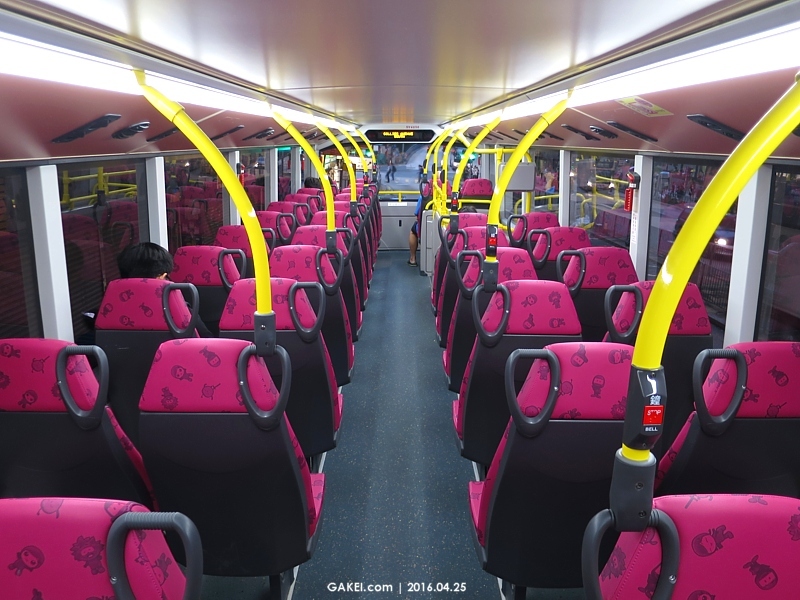 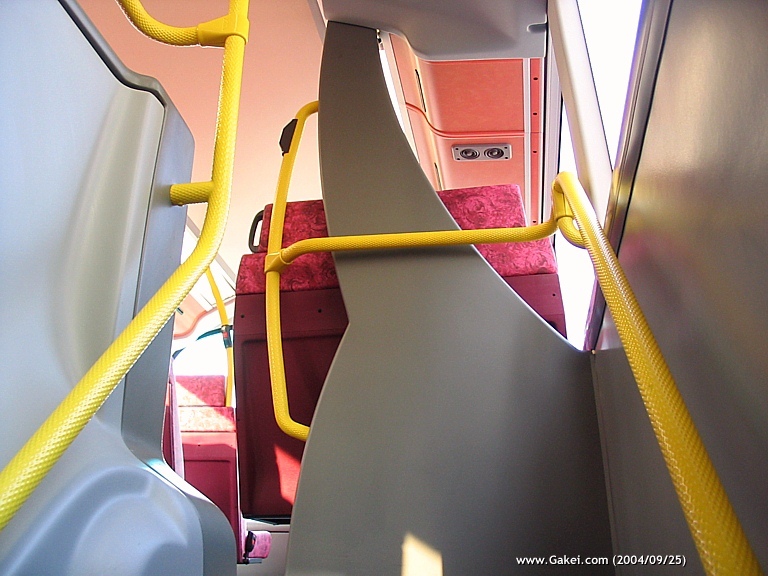 Upper-deck compartment of a TransBus Enviro500. 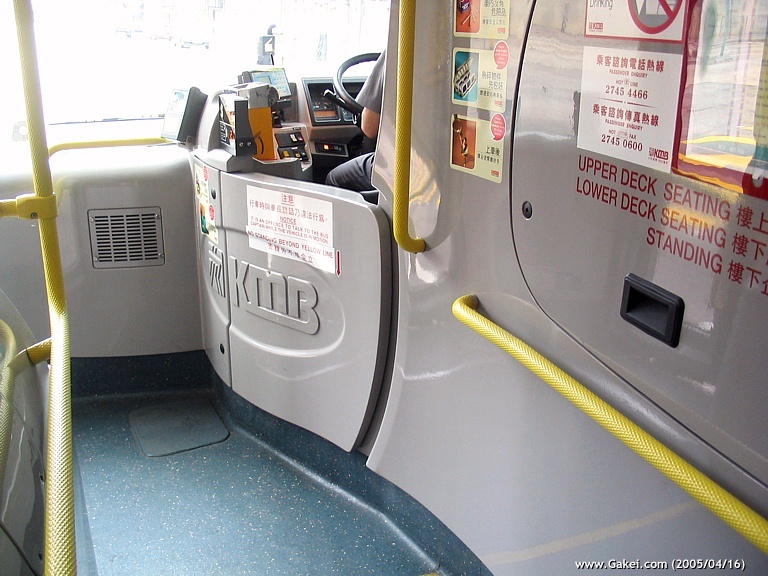 Note the rear window is a piece of fixed glass and hammers are provided to break glass when emergency. 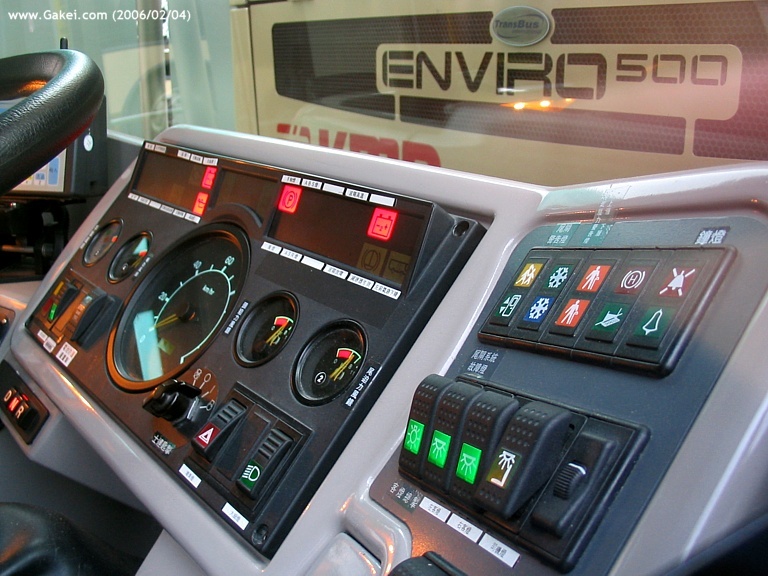 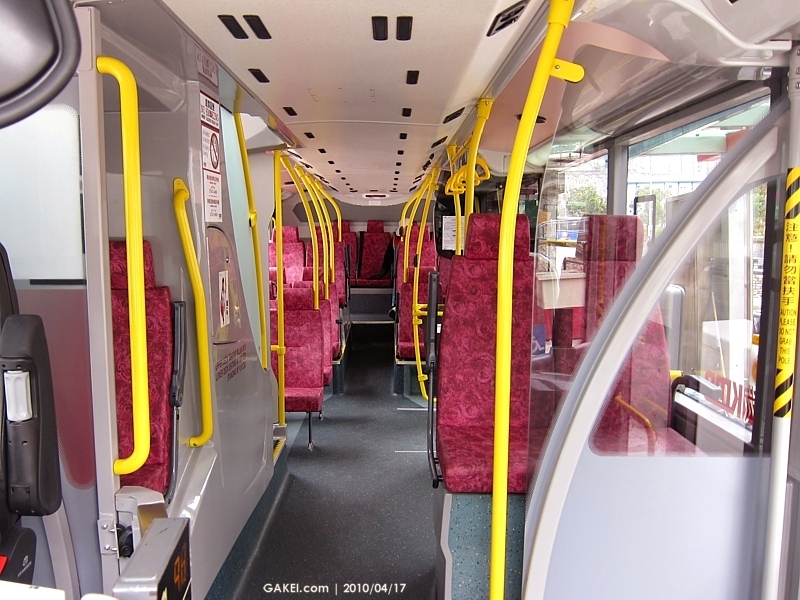 Inside compartment views of Alexander Dennis Enviro500s. 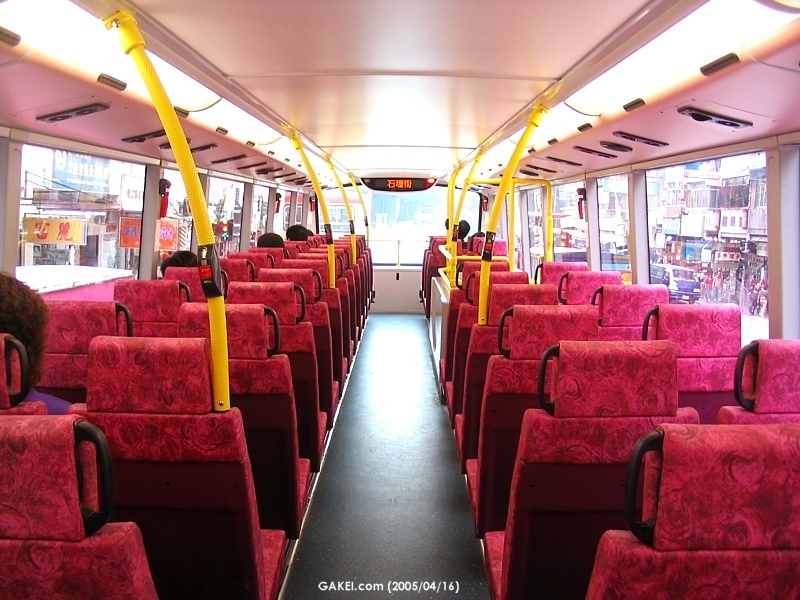 Inside compartment of AMC1 (SY 4050). 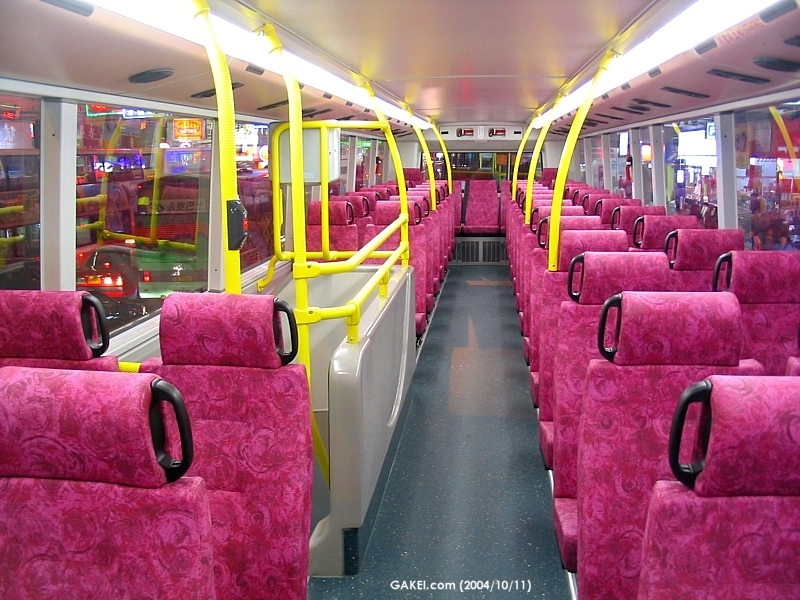 Inside compartment of AVC10 (PE 9416). 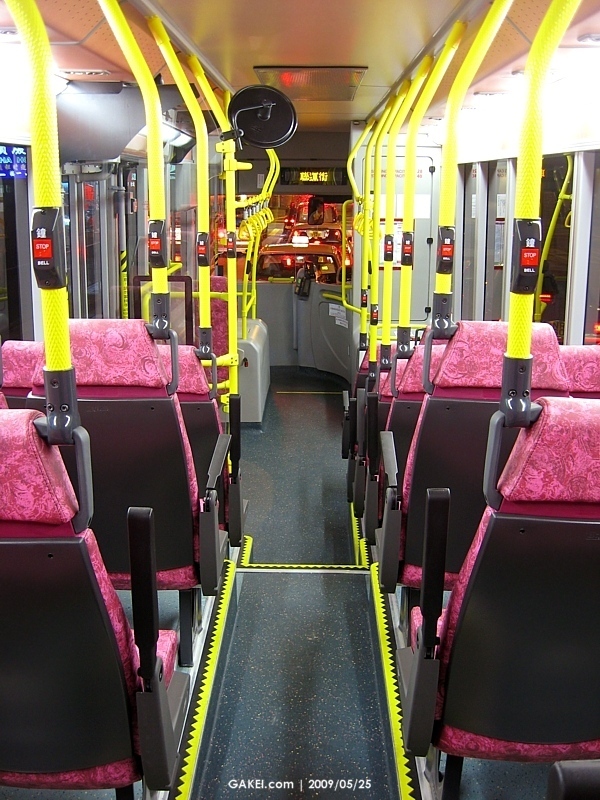 Lower-deck compartment of the Volvo B9TL demonstrator, AVD1 (LJ 7006). 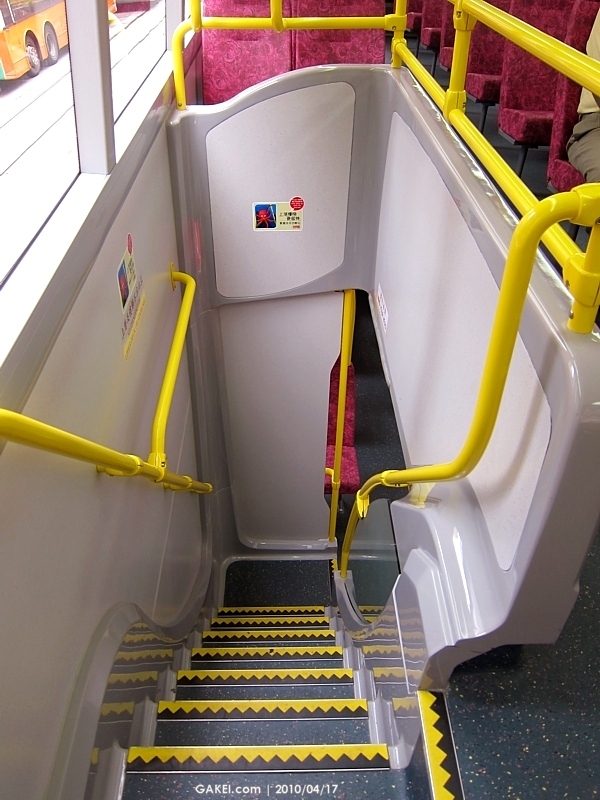 There are 8 step-free seats on the lower-deck of AVD1. 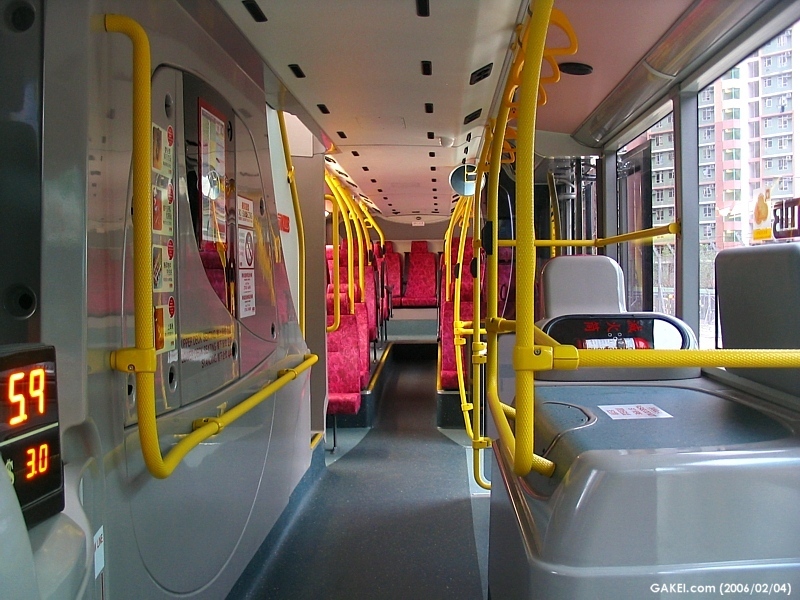 Inside compartment views of Alexander Dennis bodied AVBE1 (LU 3721). 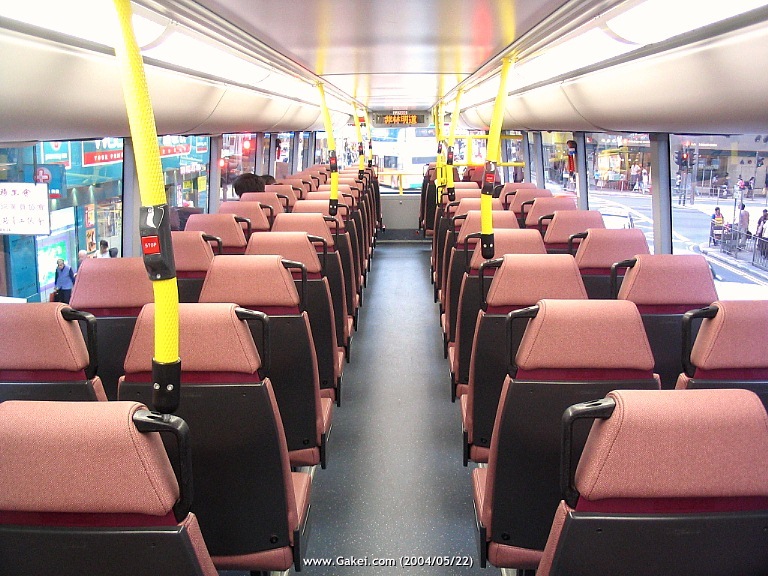 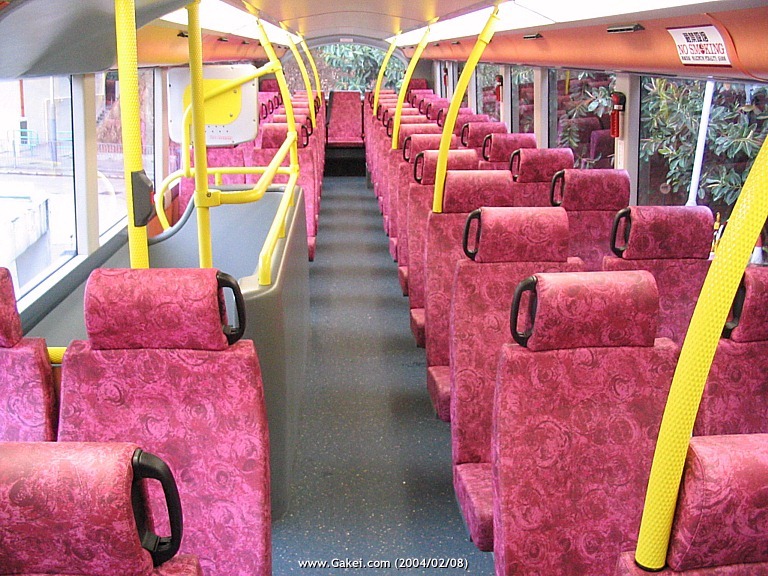 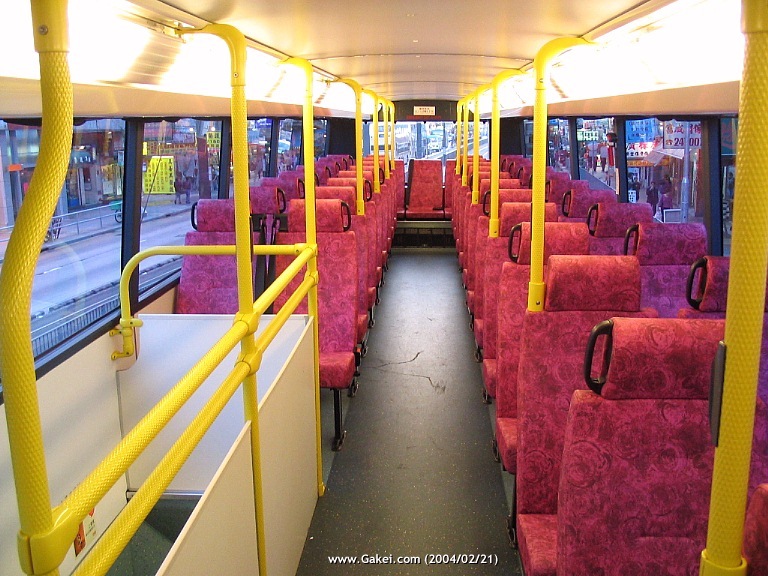 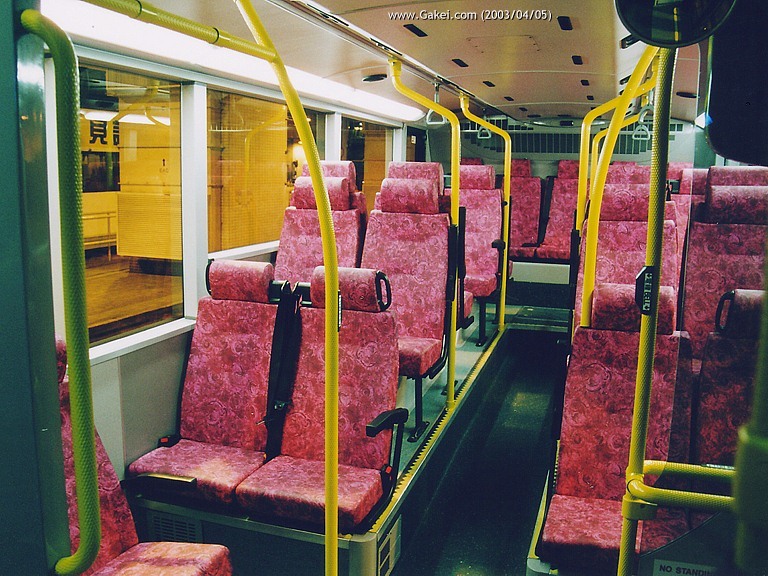 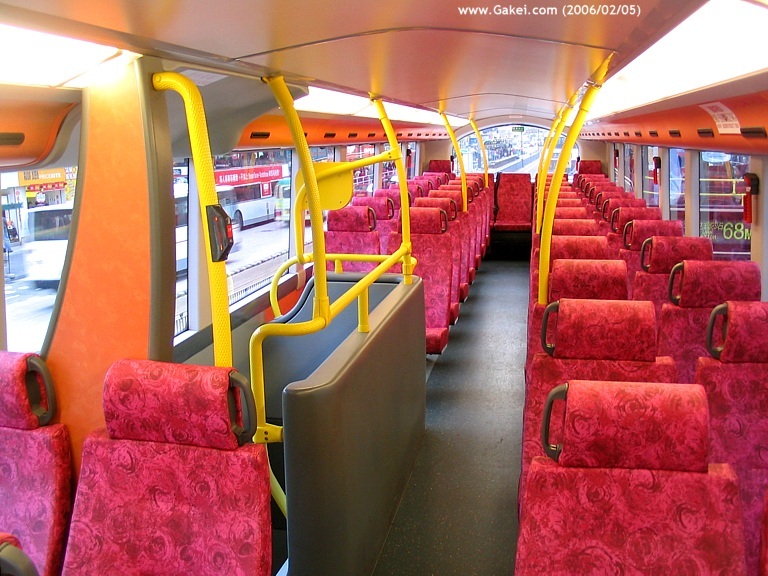 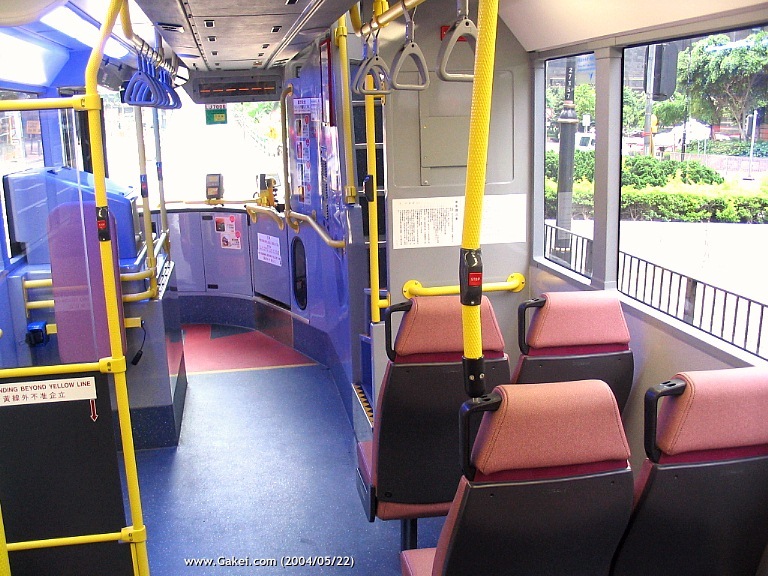 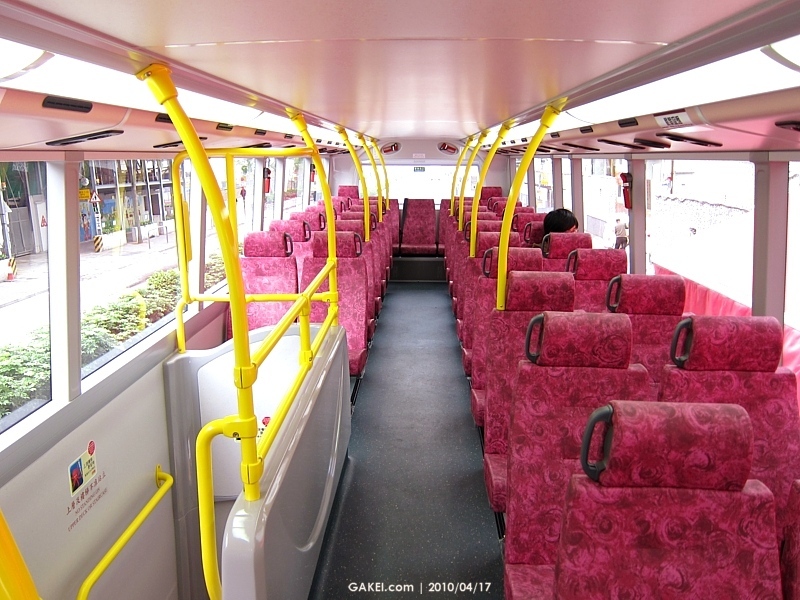 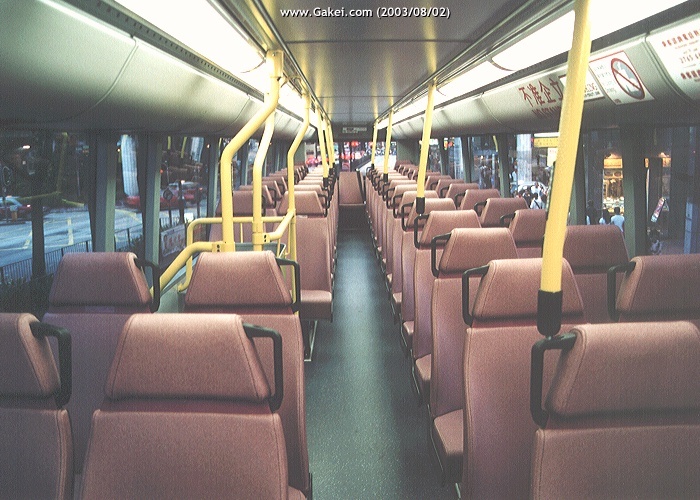 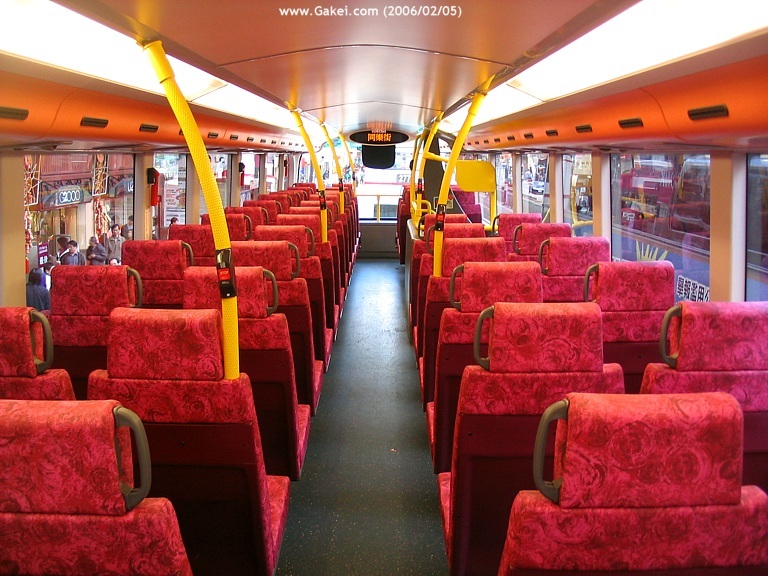 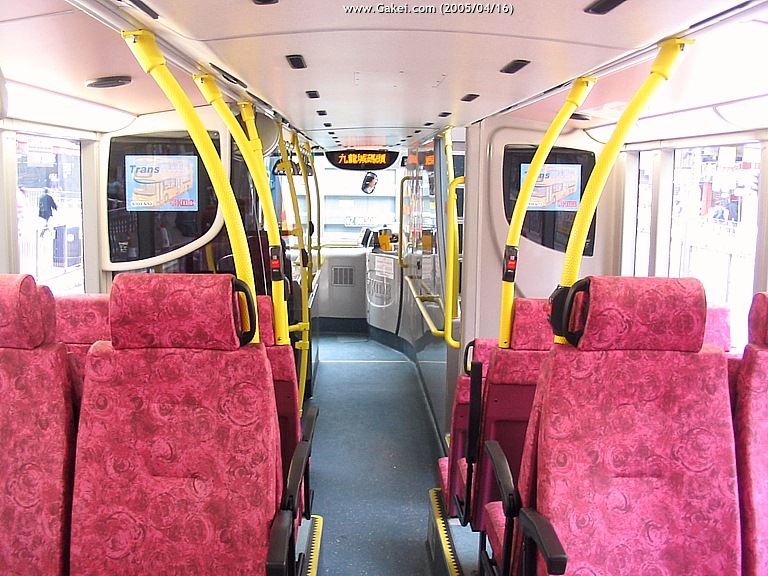 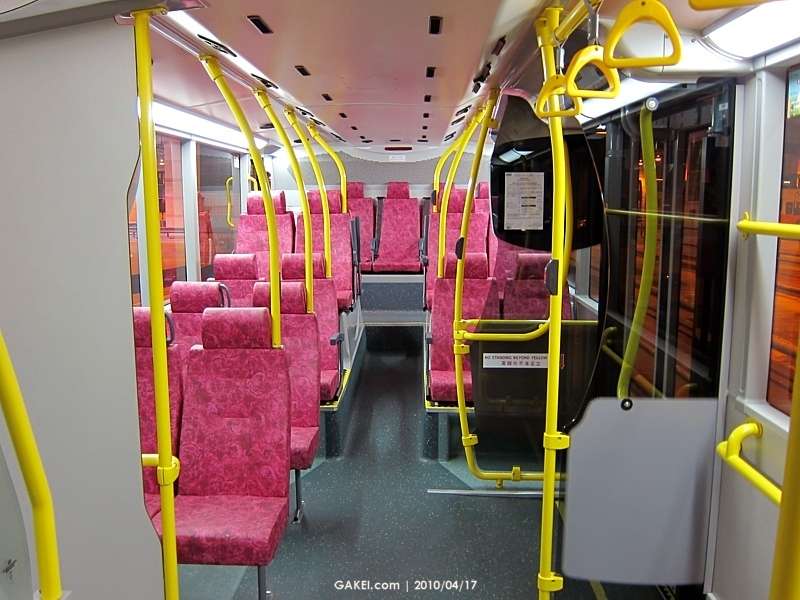 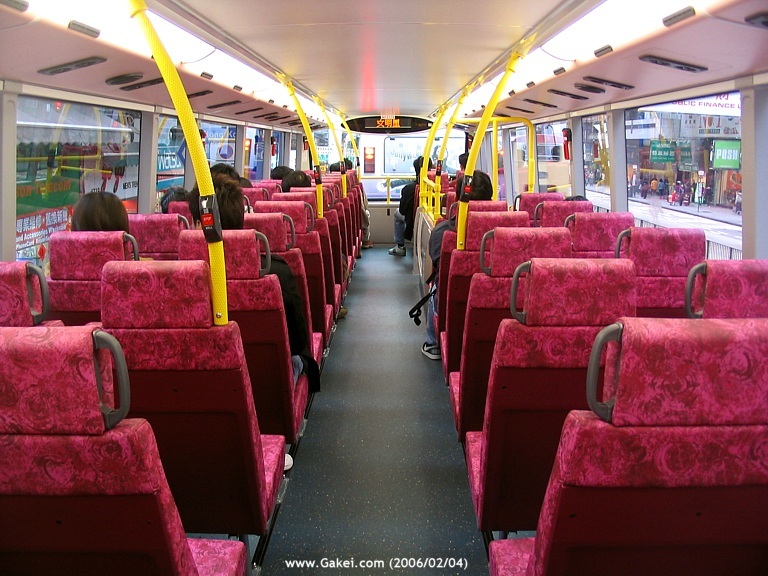 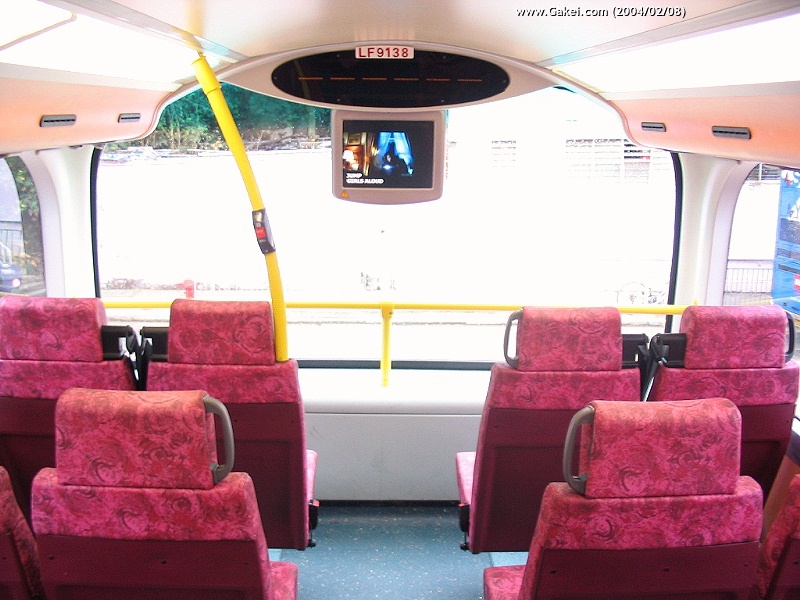 Inside compartment views of a Wright bodied Volvo B9TL. 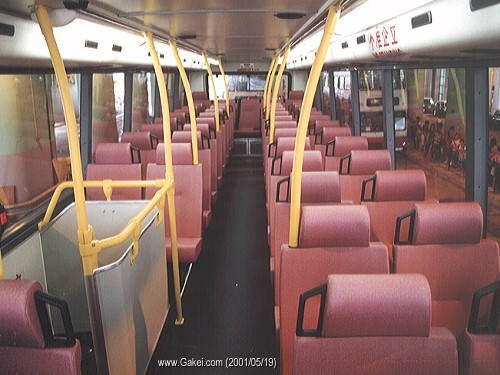 Lower-deck compartment of a 10.6m Super Olympian. 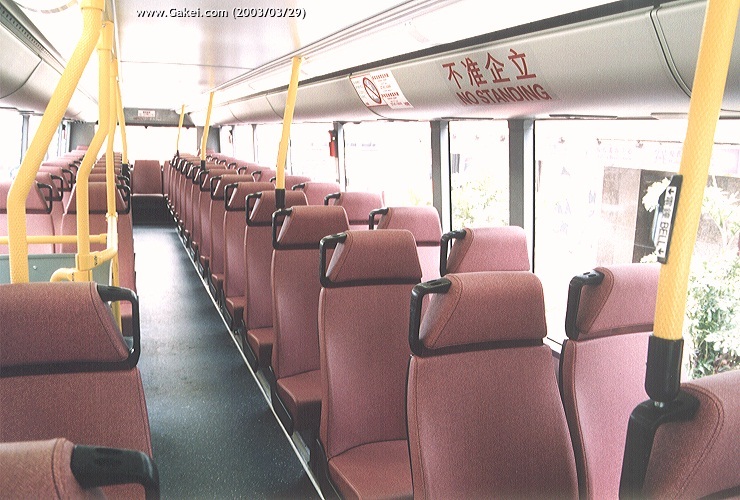 Upper-deck compartment of a 10.6m Super Olympian. 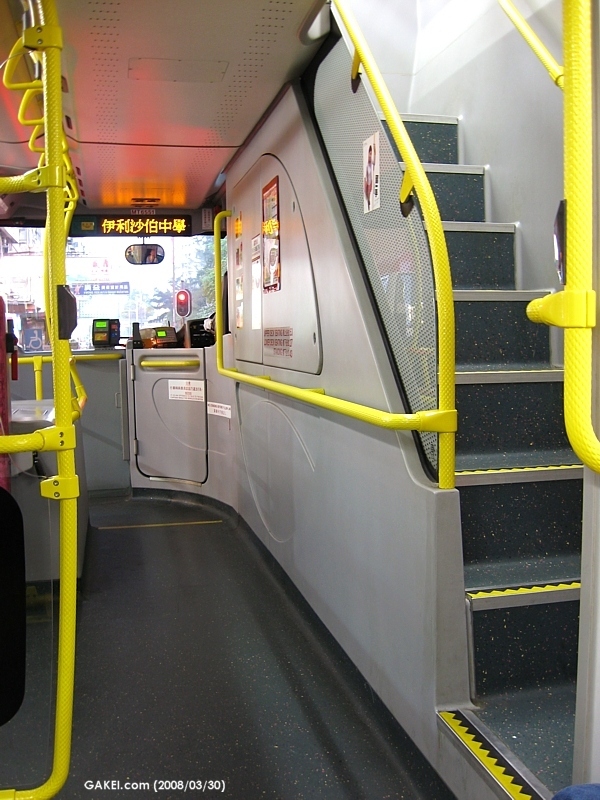 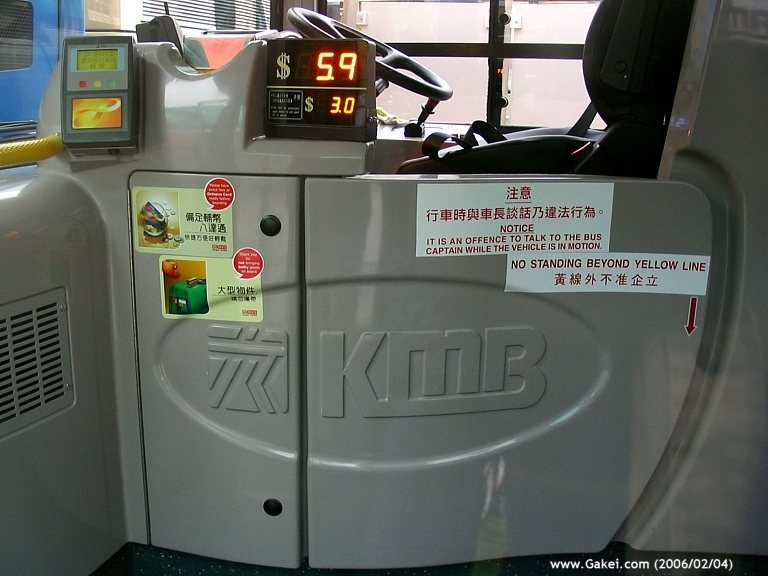 Upper-deck Compartment with "RoadShow" and bus stop announcement system installed. 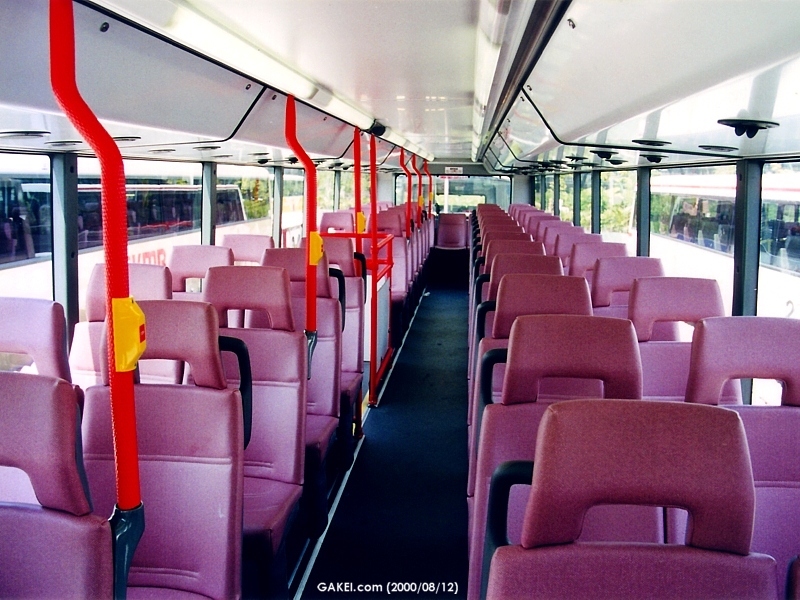 Upper-deck compartment of an early 12m Super Olympian. 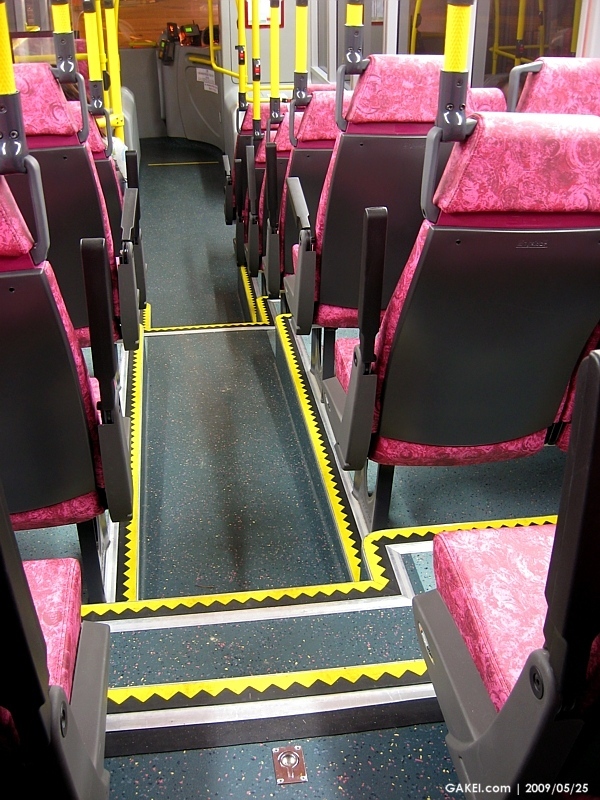 Narrow seats are installed. 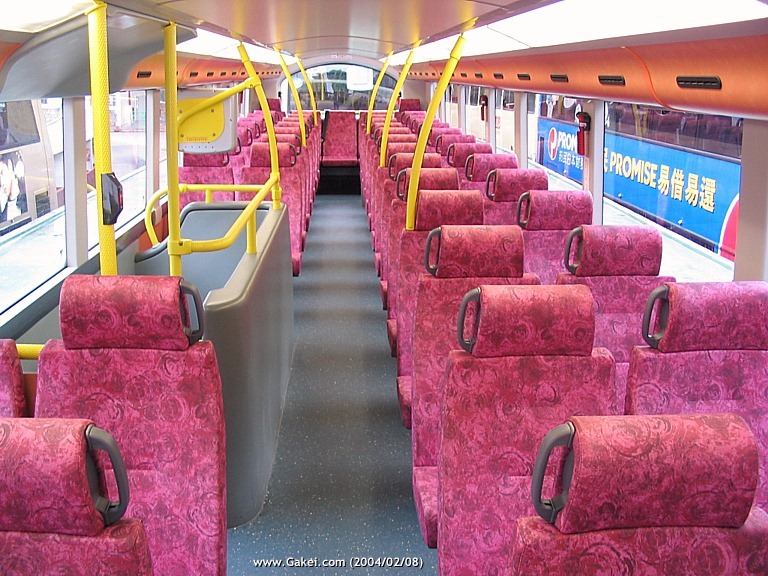 Upper-deck Compartment of 3ASV442 (KT 4404), a Volgren bodied Super Olympian. 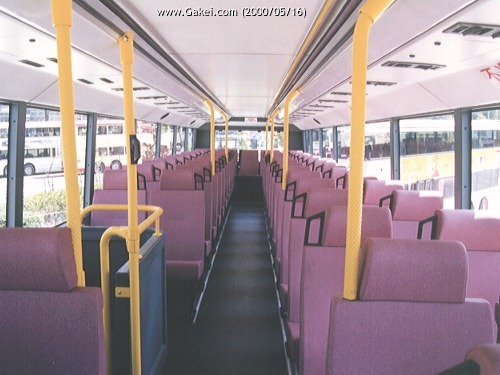 Wright Explorer - Upper-deck inside compartment views of AVW1 (KY 2604) (Left) and AVW5 (LF 9138) (Right) viewed from the front. 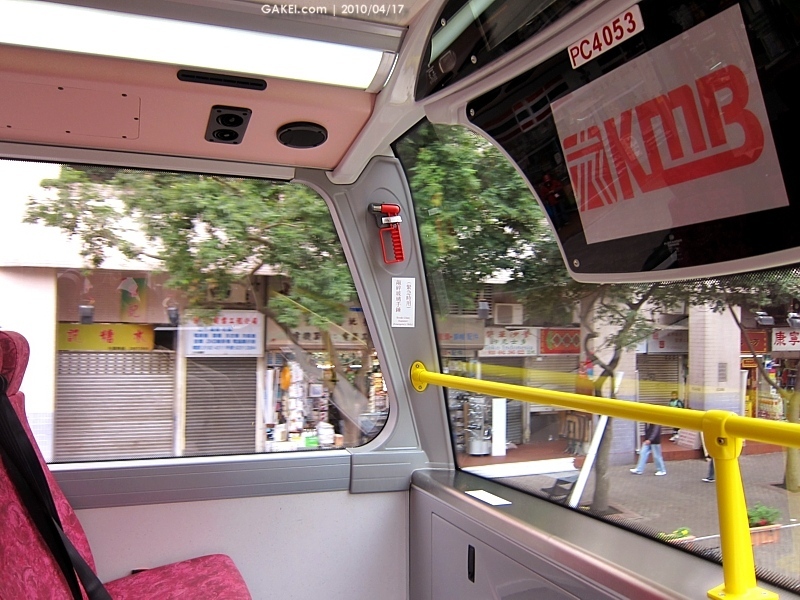 Wright Explorer - Upper-deck windscreen views of AVW1 (Left) and AVW5 (Right). 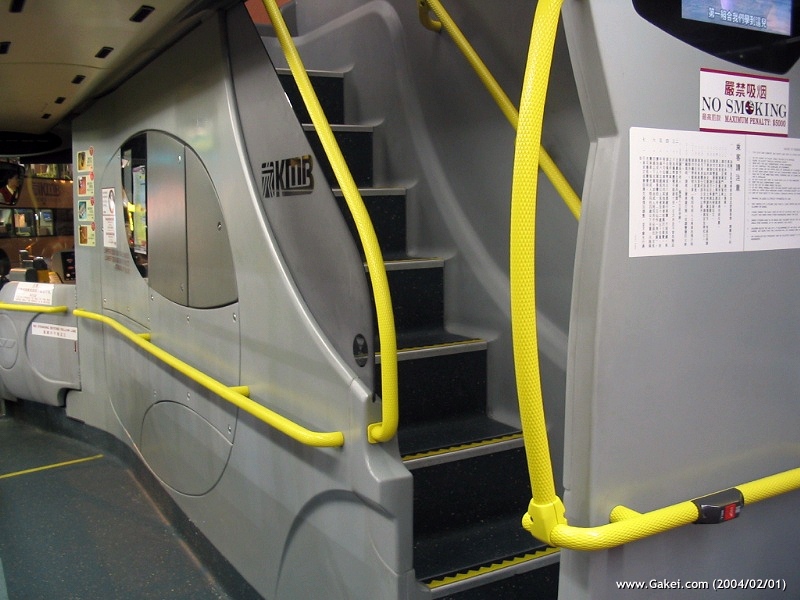 Wright Explorer - Lower-deck inside compartment. 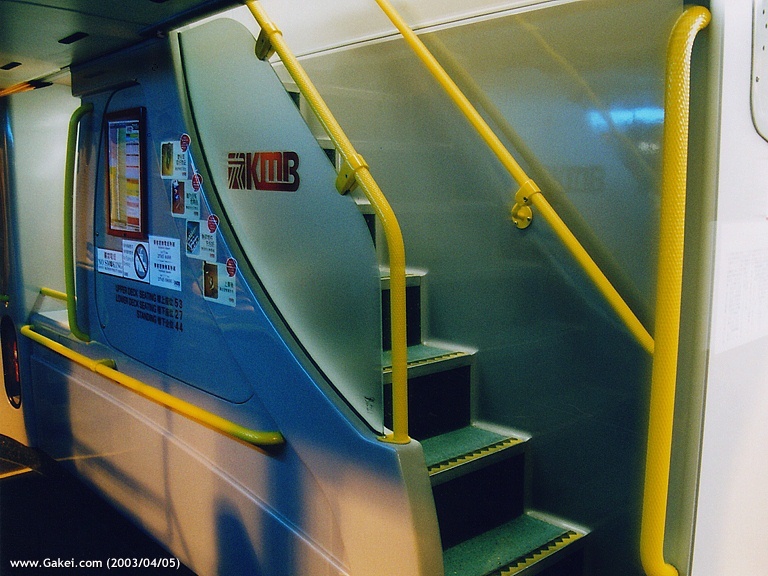 Wright Explorer - The straight staircase. 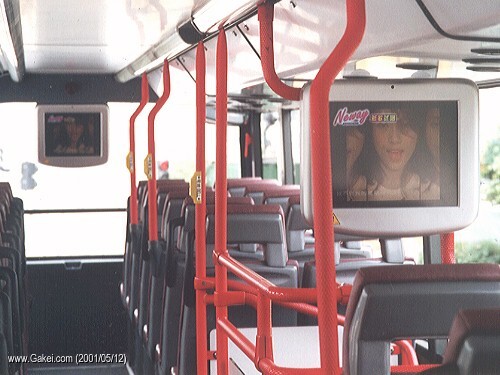 Number of Visitors Counted since 20 June, 1996.